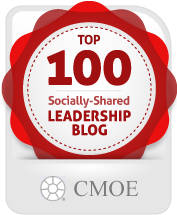 Do you feel overwhelmed with leadership responsibilities? Do you suffer from online overload? Do you sometimes wonder what you have accomplished when you get to the end of a day? 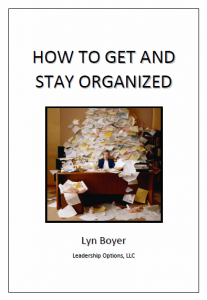 Because my coaching and consulting clients often talk about their efforts to get and stay organized, I compiled this valuable guide for them...and for YOU. Whether you just want a few pointers or you need to start from scratch, this 17-page e-book offers time-honored suggestions to help you make the most of your limited time. 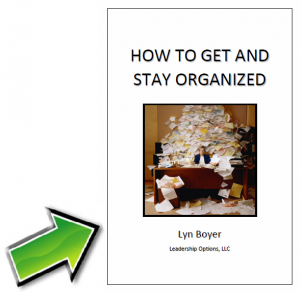 You will also find some tools to organize more effectively. As a leadership coach, I focus on helping new, aspiring and experienced leaders move forward. However, at times, they want information about skills that will help them in their day-to-day interactions. That is why I compiled this e-book. Whether you hold a formal leadership position, you want to move into a leadership role, or you are simply curious, this e-book will provide you with valuable tips and tools to make your days more productive and more satisfying. Download this e-book today to tweak your current skills or to begin some processes to turn your career around. Please use the secure form below to view and purchase this helpful organizational tool for only $1.99.